The products that Kurt Fletter makes keep roller coasters rolling, help salmon negotiate river dams and, if all goes as planned, will prevent the Tacoma Narrows Bridge from tumbling down in an earthquake. Not bad for a company born in a rental house shared by two entrepreneurs with more chutzpah than cash. Fletter, 48, is co-owner of Power Plastics Corp., a company in Portland, Ore., that fabricates gears, bearings, sprockets, chain guides and other industrial components. As its name implies, it makes the parts out of industrial, high-strength plastic, polymer and composite materials. Think: nylon, Teflon, Kevlar, and ultra-high molecular weight (UHMW) polyethylene, the same material used for artificial knees and hips. Not only are the materials stronger than many metals, they also offer far less resistance. Explaining that plastic is essentially compressed oil, Fletter said, "What we're doing is using plastic to replace steel in moving parts. The plastics that we work with will wear eight times longer than steel." Fletter and his then-roommate, John Yannello, started the company in the closet of their rented house in Portland in 1992. They saw an opening when the plastic manufacturing company where Fletter worked as a salesman was purchased and moved to Indiana. Using credit cards and Fletter's contacts, the pair bought specialized materials and hired machine shops to fabricate parts until their business grew large enough to support its own equipment and shop. Today, Power Plastics employs 12 workers and grosses $3 million annually in sales, said Fletter, who now lives in West Linn with his wife, Denise, and their three children. Fletter credits Pierce College with providing the educational foundation he needed to go into business. At Lakes High School he was part of the state championship swimming and diving team, but earned average grades, a feat made challenging by his dyslexia. After serving two years in the Army, Fletter entered Pierce in 1986, planning to raise his grades to get into Central Washington University and dive competitively. At Pierce, he said, "If I took a class and failed, I took it over from the same teacher, and the second time, I really got it. The classes were small enough where I could interact with the teacher and they could really teach me how to do it. "None of that went on at Central," said Fletter, who eventually transferred there, dived in national competitions and earned a bachelor's degree. 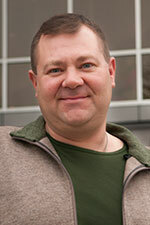 "Without Pierce College, I'm sure I would not have been able to do a four-year degree." Power Plastics has grown into a state-of-the-art fabrication company that incorporates robotics and computerized machinery. Its products span a variety of applications, from the wheels in roller coasters to the miles of earthquake abatement coils enmeshed in concrete pillars supporting the newest Tacoma Narrows Bridge. The company has an ongoing job fabricating the drive systems that pull giant metal screens over dam turbines to protect young salmon on the Columbia River. Several years ago, Fletter recalled, the smolts began their journey down river early, prompting a desperate call from the U.S. Army Corps of Engineers, which must comply with salmon conservation efforts in operating dams on the Columbia. The Corps asked the company to work day and night to replace the sprockets on the McNary Dam's drive system. "They said, ‘If we can't get the screens up to cover the turbines, we may have to shut the power off to California,'" Fletter said. Power Plastics got the job done and California kept the lights on. As a sommelier, Alan Kropf poured wine at the exclusive Beverly Hills Hotel for Hollywood A-listers and world leaders. As a humanitarian, Kropf shared the joy of Nepalese children who could finally drink clean tap water at their school in Kathmandu. To Kropf, it's all part of the wide world of beverages. Kropf is president and founder of Mutineer Magazine, a publication that explores fine beverages from wine to coffee to spirits, and anything in between. The 75,000-readership quarterly attempts to cut through preconceptions that fine beverage is the province of the elite, and makes it approachable to adults in their 20s and 30s, the demographic collectively called Millennials. "Wine is such a soulful, artistic product. You might not be able to go to France this weekend, but you can taste France in a glass of French wine," Kropf mused. At Mutineer, he said, "We try and create those connections and introduce people to the amazingness that is wine and fine beverages." 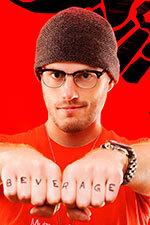 Though he's just 29, Kropf has already accumulated expertise and awards establishing his fine beverage cred. In 2011, for instance, Forbes magazine named the Washington state native among the world's top 30 business leaders under the age of 30 in food and beverage. Yet Kropf maintains a let's-try-it zeal that refuses to stick within the stuffy traditions of brandy and Bordeaux. In 2009, he and the Mutineer crew began raising money to support water filtration systems for schools in Nepal, a country beset with crumbling infrastructure. A documentary on the magazine website (www.mutineermagazine.com) shows Kropf visiting five schools that have clean running water, thanks to the fundraising effort and a Seattle-based organization now called Splash. "It's just a different way of looking at beverage," Kropf said. For all of his passion today about liquid sustenance, working in the industry wasn't on Kropf's radar when he was a teen at Rogers High School in Puyallup. In his junior year, he entered the dual-credit Running Start program at Pierce College, and was soon elected student body president of the Puyallup campus. Participating in the college leadership program allowed Kropf to learn about team dynamics, organizational leadership and public speaking – even how to make mistakes and learn from them. "For me it was just incredibly powerful," Kropf said. After graduating with a high school diploma and associate degree in 2001, Kropf tried to pursue a career in music. While he was tending bar to pay bills, the wine bug bit. He studied to become a certified beer server, bartender and sommelier, the term for a wine steward. He worked as a sommelier at the Beverly Hills Hotel, where a bottle of wine could run $10,000 and a shot of cognac could cost $5,000. "I remember Hillary Clinton came in one night, and that was still when she was in the primaries to run for president," he recalled. "Pouring for her and (daughter) Chelsea was just amazing." In 2008, he helped Chef Gordon Ramsay open his restaurant in West Hollywood. Despite his scary reputation on TV, the chef was a great boss, Kropf said. "He could be pretty menacing in the back, but it was rooted in his desire to achieve perfection," Kropf said. "He definitely put quality and service as the priority over making more money." Whether working with Ramsay or with Mutineer's latest project to encourage more people to enter the beverage industry, the impact of Pierce College is ever present for Kropf. Said Kropf: "I look back at that experience every day and I'm able to pull out something that helps me now." Ever since she was a child in Louisiana, L. Denice Randle dreamed of attending a historically black college in the South. 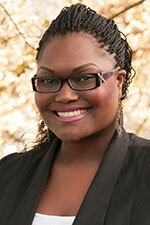 Instead, she started her higher education journey at Pierce College Fort Steilacoom. For Randle, it turned out to be the best of all possible paths. Today, Randle, 30, is director of education and employment programs at Making a Difference in Community (MDC), one of Pierce County's leading non-profit organizations. The education program offers college preparation services to low-income students who will be the first in their family to go to college. The holder of master, bachelor and associate degrees from three institutions, Randle speaks from experience when she tells clients the difference between two-year vs. four-year and public vs. private institutions. She's all too familiar with what she says is the "stigma" of attending community college. She constantly hears kids insist upon starting college at a university based on their glamorized vision of going away to a four-year institution. "They want to have this grand experience of what they see on TV," Randle said. "For a lot of kids, the reality is, that jump is just not a good fit if they lack the strong self-confidence, community support and proper resources needed to withstand the culture shock." Still, Randle can identify with that desire. Randle's family moved from Louisiana to Washington state when she was in middle school and her stepfather, who was in the Army, transferred to Fort Lewis. In 2001, Randle graduated from Lakes High School. She desperately wanted to attend a historically black college, where she'd be close to her extended family. Yet as she longingly watched friends leave home for universities, Randle followed the advice of her mother, Viola Gilchrist of Lakewood. "My mom said you're just not ready to leave home," Randle recalled. "Because (Pierce College) was right down the street, she felt like it was a great transition for me into college." In her heart, Randle agreed. "I hadn't ever set foot on a four-year campus." Randle flourished at Pierce, becoming president of the Black Student Union and earning strong grades. After paying for her first quarter of studies, she earned academic scholarships and financial need grants that covered the rest of her tuition for the next year and a half. "School became exciting," Randle said. "… It was an environment that was small enough to give me the undivided attention I needed in order to blossom and grow, identify my weak areas and really have an opportunity to nurture my strengths." A spot in the innovative Act Six Leadership Scholarship and Initiative, a program that provides social justice training to a cadre of students and a full-ride scholarship to – in Randle's case – Whitworth University in Spokane. Her first job, teaching English at Stadium High School in Tacoma. A position in MDC's TRIO College Bound program at Henry Foss High School in Tacoma, teaching college hopefuls the required skills in reading, writing and cultural awareness to thrive in post-secondary institutions. Now she supervises MDC staff doing the job she once held. "I'm really living the dream," Randle said. "I love being in a position where I can really support staff in reaching our goal as an agency to promote self-sufficiency and remove individuals and families from poverty."